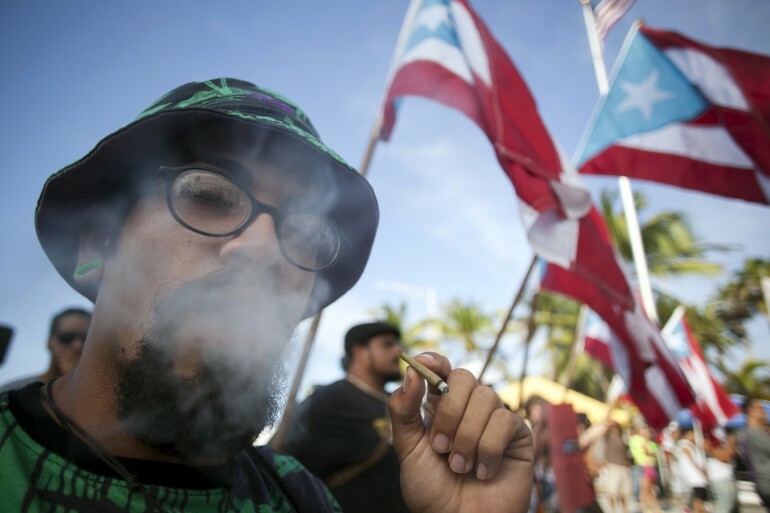 Marijuana Legalized In Puerto Rico For Medical Use; Will It End Prohibition? Medical marijuana will be legal in Puerto Rico. Gov. Alejandro Garcia Padilla signed an executive order this week outlining the change and directed his health secretary to hash out the specifics of the plan within three months. That will include which diseases can be treated by the plant, which until now was prohibited for any use. In a statement, Gov. Padilla specifically mentioned migraines, epilepsy, multiple sclerosis, and HIV/AIDS, most of which are are treatable conditions in the 23 U.S. states that currently allow medical marijuana use. "We're taking a significant step in the area of health that is fundamental to our development and quality of life," Gov. Padilla said in a statement. "I am sure that many patients will receive appropriate treatment that will offer them new hope." Opponents of medical marijuana in Puerto Rico condemned the measure, saying that the governor does not have the power to reclassify drugs. Members of the Partido Nuevo Progresista (PNP) called the governor's action an executive overreach, saying that he does not possess the authority to reclassify marijuana as a medicine. Some opponents of marijuana legalization have in the past called it and exacerbator of “mental health” problems. Others point out that some of the key medical ingredients in smoked cannabis is already available to doctors in processed forms. In other words, opponents are implying that medical marijuana just a trojan horse for soething else, like recreational marijuana. Pot advocates, however, don’t see the executive order as a major victory. Legislators have been trying to legalize all marijuana use. The debates have raged in Puerto Rico for the past two years. Key supporters of marijuana legalization welcomed the news but argued that the executive order wasn’t enough. “This measure, although it advances the therapeutic use of the plan, leaves the War on Drugs intact, [as well as] the imprisonment of thousands of people for merely possessing [marijuana],” said Rafael Torruella, Director of a decriminalization campaign spearheaded by Descriminalización.org. Others say that passing medical marijuana was a small yet significant step towards the end of marijuana prohibition. “I think medical marijuana is a step in the right direction, a camel's nose under the tent that will ultimately lead to stopping the War on Drugs and treating drugs like alcohol -- regulated, controlled sale, health treatment if required, enjoyment for those who want it,” Inge Fryklund, a former Chicago prosecutor and current member of Law Enforcement Against Prohibition to the Latin Times in an email. “Someday we will look back and wonder, ‘Whatever were we thinking?’" she said.